Long gone are the days when being fashionable was only women’s priority. Men have it easier when it comes to being trendy – donning a simple classic look almost always results in brownie points. However, if you’re like most men (myself included), your wardrobe needs attention when it comes to stocking up on trendy clothes. Do away with your old clothes and look for something that takes your style a notch higher. Maybe you like to experiment with bold fashion statements. Maybe you focus on comfort by sticking with the tried and tested t-shirt and jeans. Or, maybe you play it safe with a neat combination of sharp formal outfits. 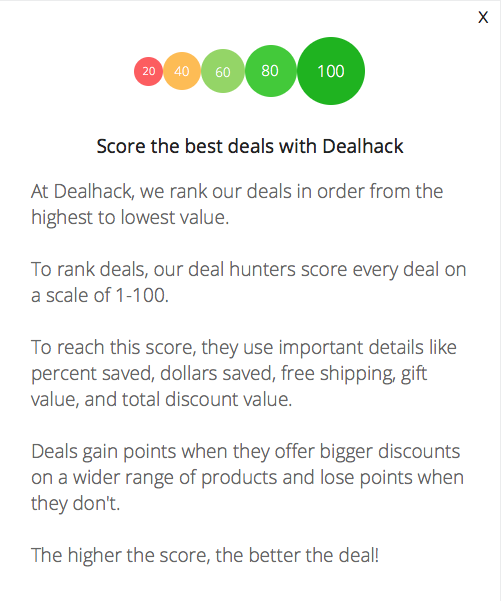 Whatever your style, Dealhack is here to help you shop. No matter what the occasion is, all you need to do is browse our website and choose from an array of deals on clothes available in various sizes, fits, colours and styles from the most popular shops on the web. 20% Off Men&apos;s Running Shoes + Free Shipping! Use Offer Code C9X1K873 at check out! 20% Off Men&apos;s Training Shoes + Free Shipping! Use Offer Code C9X1K873 at check out!